Although summer never really ends in Louisiana, it fades enough to where we see the trees change colors, the weather gets a little cooler and the days get shorter. Fall is synonymous with harvesting, family and change. And that doesn’t just mean the colors of leaves. It extends all the way to clothing, home decor and outside decor. 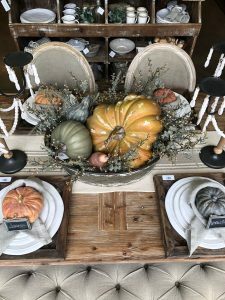 So what fall trends are “in” throughout Bossier? 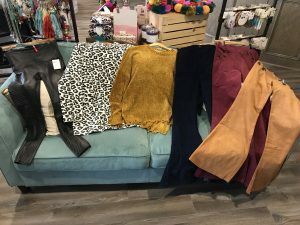 Caleigh Phipps, of Simply Chic Boutique in Bossier City, says the major clothing trends for fall are animal print, chenille sweaters, flared pants and leather Spanx. 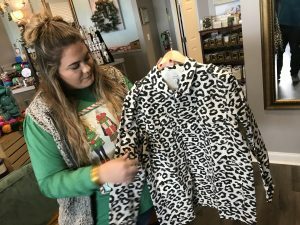 Chenille sweaters are also a popular option among customers in Bossier. “A chenille sweater is super soft and it goes with everything — it’s good for a different look at a cold LSU night game. They go well with both leggings and jeans. White and the darker browns are the most popular colors. Another popular option is Spanx black leather leggings. She added that as far as accessories it’s wrap necklaces and multi-colored necklaces. The cooler days of fall are perfect for getting outside. It’s a season renowned for harvesting, so celebrating the gifts of the garden is only in the spirit of the season. noted fall is a great time of year to change up the outdoor look of your home and refresh before winter hits. 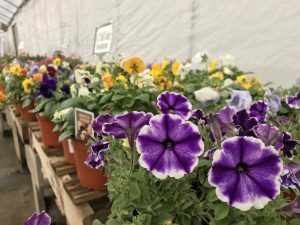 He says now that its the end of mum season, customers will be planting pansies, snap dragons, cabbage and kale because they will grow all winter long. He also says you can use straw as a base with those plants and pumpkins for a display. Fall is a time for the holidays, which means visitors. So now is the season to make some changes in your home’s interior. Brandi Shockley, owner of Ivy & Stone in Bossier City, said many of the trends are based around the Holidays. 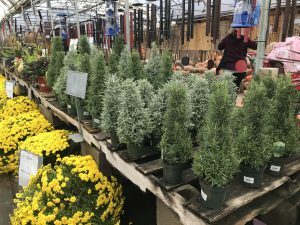 She said that a lot of locals are already coming in to get their home ready for Christmas. Another really popular item in the store are the scented candles.